Low profile Shoulder Immobilizer has a contoured design to fit both male and female patients. Elastic chest strap stretches to best fit the patient. 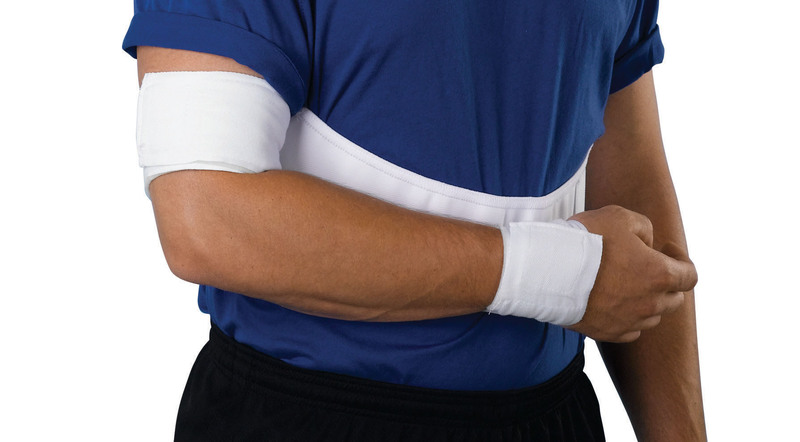 Humeral and wrist cuffs are made of soft foam backed with durable poly/cotton material. Hook-and-loop closure on the cuffs adjust for proper fit. Designed for right or left arm.